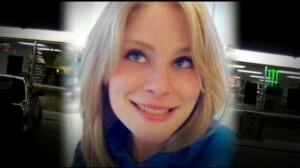 Jesssica Heeringa went missing from an Exxon gas station on April 26, 2013 in Norton Shores, Michigan, where she worked. She was closing the store and was last seen at around 11pm. Witnesses came forward to say they believe she had a stalker. “Norton Shores Police Chief Daniel Shaw said today that it appeared robbery was not a motive, and that the store’s cash drawer was left untouched.” There were no security camera in the station. However, other street surveillance cameras captured a silver minivan, possibly a Chrysler Town and Country, in the area at the time she vanished. Jeffrey Willis was arrested in May 2016 for attempting to kidnap a 16-year-old girl. She escaped and alerted authorities. Willis drove a silver minivan. He is now in police custody facing kidnapping and murder charges.